The photo of a lion carcass dumped by the side of the road in Querétaro, north of Mexico City, has caused an uproar. 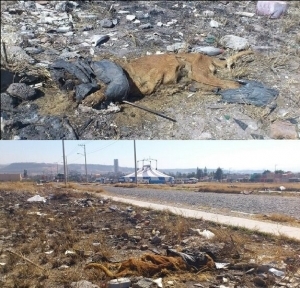 The remains of the animal were not only left in open view – they were within sight of the circus itself. The photograph has being doing the rounds of social networks for a few days, but there is no word yet on how the lion died, or who might be responsible for dumping it. The circus has denied that its show even uses lions, and no one has been able to locate the carcass, causing some to wonder if the photo is a hoax. The originating source appear to be the Twitter account @Pacmanlalo, which sent it to various accounts – including the account managed by the Government of Querétaro. February 2: Forget the Ikea Monkey. How about the Veracruz Lion?